One of the first people I met when I came to Canberra, more than 30 years ago now, was a public housing tenant. Let’s call her Patricia. Patricia was a formidable lady from Cooma (a source of many formidable people). She was a widow and she worked full-time. She didn’t earn much but it was enough to get by. The unit where she lived was part of a public housing complex that was handy to shops and services, and was also close to where she worked. Of course, those same advantages were worth even more outside the public sector. The units were demolished long ago, and the site sold, to make way for richer folk. 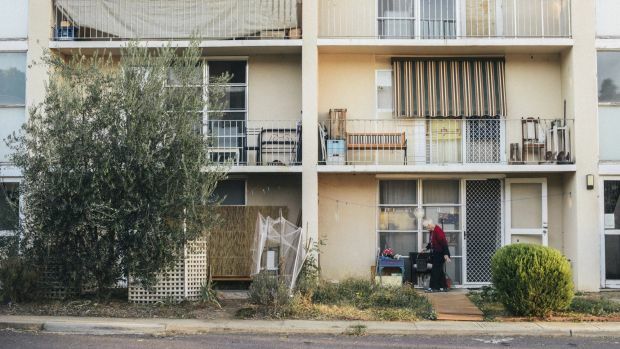 We are seeing the same pattern repeating itself, with greater frequency, as the ACT government prepares to demolish public housing occupying valuable land along Northbourne Avenue and elsewhere, having moved the tenants out to the suburbs. It’s true that these public housing complexes were ageing, and the tenants often desperate to move. But the problem the government says its strategy is solving has its origins in poor decisions taken years before. On the face of it, public housing should be an activity of government that meets its social objectives while funding itself through adroit property management. Houses are, after all, income-generating assets. But public housing authorities everywhere in Australia are struggling to meet rising demand. In part, this is because private rental properties have become unaffordable for many people. But housing authorities are very restricted in what they can do to help those needing housing aid. The reasons have to do with what might appear to be a praiseworthy policy: to allocate public housing only to those in greatest need. 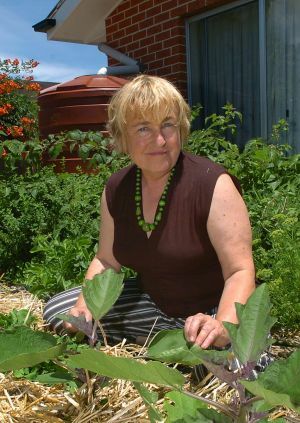 As a result, there are few, if any, Patricias left in the ACT public housing system, or indeed in any Australian public housing system. Stricter targeting has become the norm. 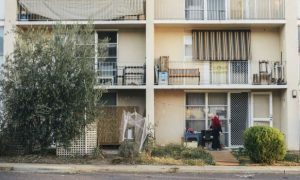 In 2006, for example, the ACT government announced that eligibility for public housing would be subject to tightened means-testing, and there would be a stronger emphasis on ensuring that the neediest were housed first. Over time, these policies have reduced the income of all housing authorities. This is because housing rules require that tenants pay no more than 25 per cent of their income in rent. If almost all tenants are on benefits, it follows that the housing authority’s income will be severely constrained. Many Canberra-based readers will recall the circumstances leading up to the ACT’s stricter-targeting policy. There had been a public outcry when it was found that an MLA, Deb Foskey, was – perfectly legitimately – living in public housing. Not only was she earning a reasonable salary but, to add insult to injury, she was a politician. “Out with her” was the cry. It was in vain that public housing advocates pointed out that tenants paying near-market rents were actually helping rather than hindering. Few governments can withstand this kind of moral outrage, even when they would do well to do so. Swept along by a tide of media-based activism, they forget there may be good reasons for keeping the status quo. Think of former NSW premier Mike Baird and his decision to end greyhound racing in his state. No doubt he believed he was doing the right thing, but policies are complex beasts and righteousness belongs to religion, rather than politics. In the case of public housing, as with all means-tested policies (and, in Australia, we are very keen on means-testing), it is easy to create more problems than you solve. Effectively excluding tenants in full-time employment means ACT Housing has no capacity to place its finances on a more sustainable footing. Cash income falls further and further below spending, so unless increasing cash injections are provided, properties must be sold just to keep going. There are management issues, too. It’s extremely difficult to run a housing system that is restricted to those suffering the most entrenched disadvantage. A budget-constrained authority can’t do much more than maintain its existing stock of houses. It’s true that stock can be turned over, producing some extra income (when revenue from sales exceeds the book value of the housing), but this is not a major source of income. The sale of sites (such as those close to Civic and along Northbourne Avenue) may be profitable, but you still need to fund the acquisition of new ones (unless, of course, you tap into the ACT’s reserves of community land). But surely, you might object, diluting the means test would mean that, over time, more and more houses would be inhabited by people who could afford to move out? Let’s think about this for a moment. Just how likely is this? As people find their feet, most will want to move on to more attractive or more independent arrangements, freeing up properties for new tenants. Diluting the means test would also mean giving all tenants a more positive message about their prospects. If you are on benefits, existing policies give you very little incentive to get a job. As soon as you do, your rent goes up and, if you do well enough, you will eventually be evicted. It’s hard to imagine a more egregious form of moral hazard. It takes an exceptional person to say “I don’t need your help any more”. Despite being strong supporters of public housing, Labor and the Greens have got themselves into difficulties in this area because their thinking has been too ideological. Restricting public housing to those most in need may seem morally satisfying but, over time, it leads to poorer outcomes, financial and social. Housing supply is more constrained than it would otherwise be (because the housing authority’s budget loses income from tenants paying higher rents), and the possibilities for inclusion provided by tenants who are employed are lost. There’s no doubt that Australian cities are changing fast. It’s difficult enough for those with reasonably good jobs to buy their own home. Public housing could, and should, be an important factor in the mix. But to rejuvenate the sector, more flexibility is needed. If we want to use the state to help the disadvantaged, it is sometimes necessary to think beyond our own good intentions. In public policy, it is easy to do the wrong thing for the right reasons.